Product prices and availability are accurate as of 2019-02-13 07:07:00 EST and are subject to change. Any price and availability information displayed on http://www.amazon.com/ at the time of purchase will apply to the purchase of this product. Size: Approx. 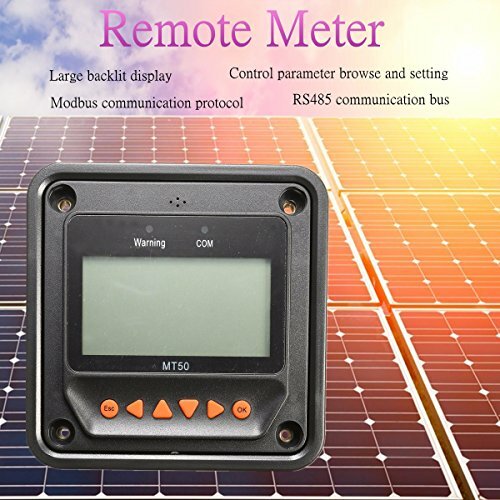 112 x 112 x 50mm/ 4.41 x 4.41 x 1.97"
Remote meter (Model MT50) is available to connect with solar controller LSxxxxB(P), VSxxxxBN and TracerxxxxBN(P). 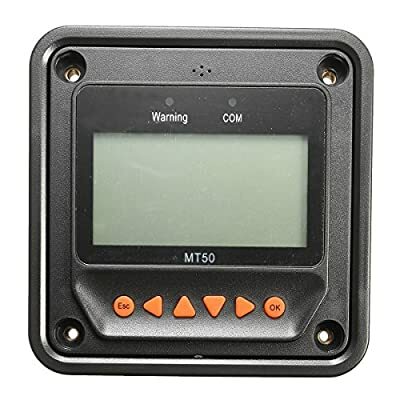 Real-Time display the operational data and working status of the connection devices in digital, graphic and textual forms by a large-screen multifunction LCD. Direct, convenient and rapid operation of six navigation function keys. Both data and power flowing on the same lead, no need for external power. 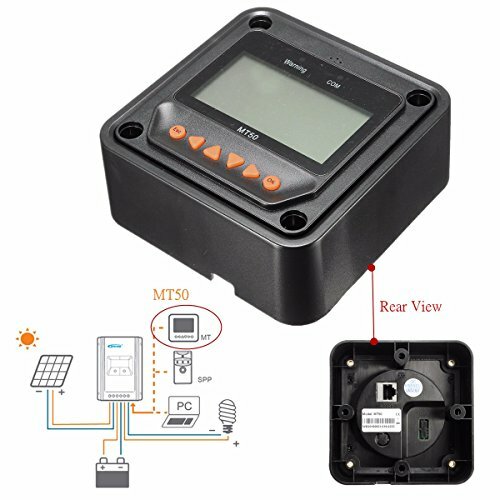 Real-Time data monitoring and remote load switchover of the controllers, and data browse and modification of device parameters, charge control parameters and load control parameters. 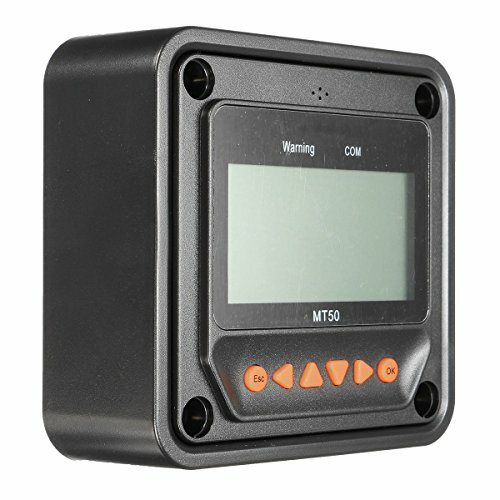 Real-Time display and acoustic alarm of failure information of the connection devices. 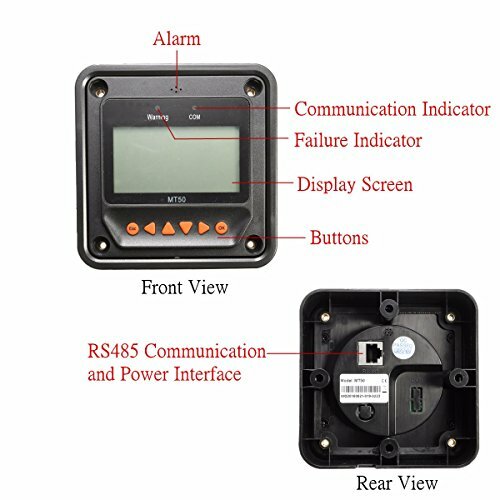 Longer communication distance based on RS485. MT50 Remote Meter Direct, convenient and rapid operation of six navigation function keys. Both data and power flowing on the same lead, no need for external power. Professional Tools Package Contains One Item If there is a colour choice please contact us with your choice or it will be sent at random.